Glenn Beck dedicated an entire segment of his radio program on December 1st to excoriate Donald Trump for mocking a New York Times reporter with a disability last week and then laughably trying to deny that he had done so. After repeatedly blasting Trump, Beck eventually began to speculate that the real estate mogul's entire campaign for President is part of some secret deal to help Hillary Clinton get elected to the White House. 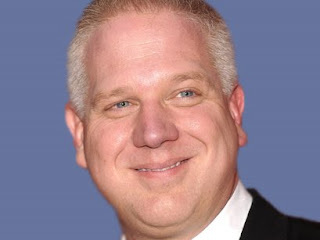 After pointing out that pretty much all of Trump's stated positions make no sense and often directly contradict his previously stated views, Beck concluded that is is "more logical" to conclude that Trump is running for president in order to launch a third party campaign for the purpose of undermining the Republican Party and benefiting of Hillary Clinton. "What are the odds that he is a spoiler?" Beck asked. "What are the odds that he got into this because he's friend with the Clintons and he'll get massive payback? If Hillary Clinton gets in because he ran third party, do you know the favor they're going to owe him?" "It makes no sense otherwise," Beck insisted, adding that "it's more logical to believe that" scenario than the idea that Trump is actually a Republican or even someone who really cares about the issues. Mainstream Jeb Bush is on the same wavelength as Glenn Beck. Extreme opinion is now mainstream. Jeb Bush is a desperate candidate.